what is the name of the condition presented in the photos? What is the most likely cause for this presentation? 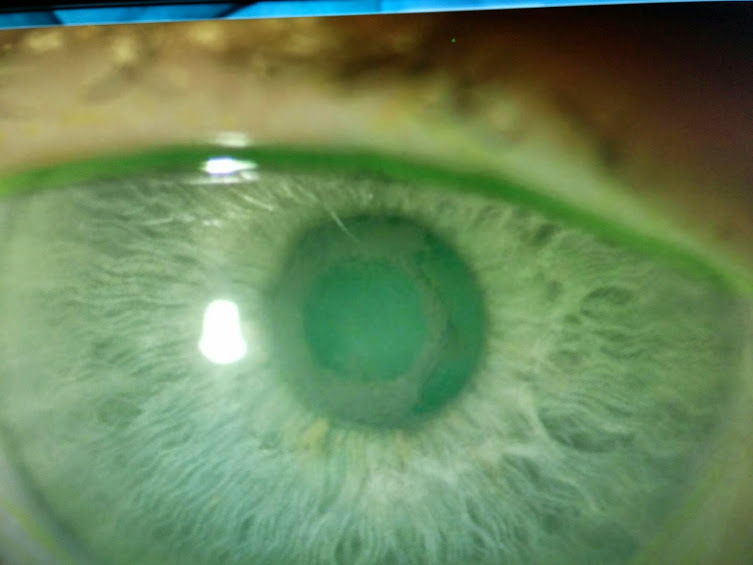 Seclusio pupilae where in inflammatory adhesion bound the pupil down to the underlying lens blocking the aqueous pathway leading to pupillary block glaucoma. Most commonly seen in patients with Iritis/uveitis.